Does your business rely on search engine traffic or you are trying to get more traffic from Google? If yes then this is the time to pay attention to the social signals especially how +1 button can impact search engine rankings for your website or blog. Since Google launched +1, everybody is talking about it’s impact on the search result. In this post your will find out what some of the top SEO guru’s have to say about “How can +1 button impact on the search results in coming months? 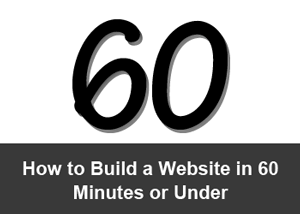 Aaron is a one of the top authority in the world when it comes to SEO. He has been actively involved on the web as a publisher and an SEO practitioner since 2003. He launched seobook.com in 2003, which is one of the oldest standing SEO sites around that is still regularly updated. The site originally was designed as a blog that offered DIY SEO tips and helped sell the leading SEO ebook, which had sold well over $1,000,000 in volume. “For most people I see it as a waste of time & an added jump to hoop through. User adoption has been abysmal, but you can count on Google tilting their relevancy algorithm (and announcing intention to it) to drive adoption, just like they did with the Google Checkout buttons on AdWords ads. Neil is the co-founder of 2 Internet companies: Crazy Egg and KISSmetrics. Through his entrepreneurial career Neil has helped large corporations such as Amazon, AOL, GM, HP and Viacom make more money from the web. By the age of 21 not only was Neil named a top 100 blogger by Technorati, but he was also one of the top influencers on the web according to the Wall Street Journal. Danny is a passionate SEO, influential writer and obsessed life list completer. He is also the author of the best selling book Search Engine Optimization Secrets. He was previously the Lead SEO at SEOmoz.org, one of the world’s leading SEO companies, where his articles were read more than a million times. His expertise has been cited in Time Magazine, PC World, Smashing Magazine and Seattle Post-Intelligencer and has been translated into Japanese, Russian, French, Spanish, Italian, Chinese, German and Hungarian. He has spoken at numerous conferences (spanning three continents) and his work has been accessed online in more than 175 different countries. Danny spends his time checking items off his 150+ item long bucket list (half of which are now complete) and working at AT&T. Dan has been online since 1999, and has been performing SEO since 2002. Dan has managed web development shops, optimized fortune 500 sites in-house, and has spent the past several years at one of the largest agencies in the world, serving as Technical Director of Organic Search. Dan is currently working as a director at catalyst search engine marketing company. “Like most social signals, the Google +1 button will have a high correlation with top rankings, but the +1 button itself will not have contributed much to the actual ranking. The reason being is that the +1 button is quite susceptible to black hat techniques. I can buy +1’s, I can trade them, I can trick people into +1’ing something they did think they were +ing. I can even withhold premium content, deals and offers in exchange for a +1. It is so easy to game that Google’s algorithm would turn upside down if they put a substantial weight on the +’s. 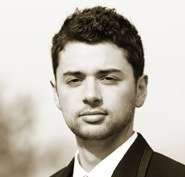 Nick is the President of Brick Marketing & also the found of Search Engine Optimisation Journal. With over 12 years of experience Nick has worked with hundreds of companies small, large and every size in between. Through his vast and diverse SEO, search engine marketing and internet marketing experience Nick has successfully increased the online visibility and sales of clients in all industries. Zarko is the founder of Practical SEO company and also link building team leader at Dejan SEO company. You can connect with Zarko on Google+ and Twitter. “Google has certainly made a strong move towards recognition of brands and authors, I personally love it. The way they did that is with some tweaks in their algo and with the implementation of the +1 button. As you know the +1 button makes it easy for us to confirm our authorship as it connects our author profile (Google profile or Google+) with everything we wrote on the web (given that you linked your accounts and added rel=author or linked to your G+ profile). It also helps by figuring out the connections we have on G+ as well as other social networks through our links on Google profile, as well as other ways, so where is that headed and how will that impact the SERPs? It will lead us to create a brand out of our own name, leaving spam out, as most people wanting to get some real results will be forced to concentrate on quality, branding as well as image and reputation management. From what we have seen there is a great impact of an author image showing in the SERPs, people tend to click through those links more than they did before. Also if we look at who recommended (+1’d, which is shown in the SERPs) the link we are more likely to visit that page. The results in the SERP we will see will be modified to match our social media connections based on personalization, so the bigger brand we are the higher the traffic will be for our pages shown in the SERP. Also, there are still suggestions based on correlation data that +1s have direct influence on the rankings, as much as tweets and likes do, but it’s not just about the volume, it’s about who recommended you and how big is their network as well, how big of an influence they are. Debra is the president of Alliance-Link, an interactive marketing company focused on providing custom link building training. In addition to client projects and link training for Fortune 500 companies as well as a number of top SEO firms in the USA, UK and Canada, Debra is a featured guest speaker at the Search Engine Strategies Conference (SES), Search Marketing Expo (SMX), is a guest blogger for Search Engine Land and Search Engine Guide, has done numerous High Ranking Seminars, Small Business Unleashed Seminars as well as the Link Building Training session for Search Engine Strategies (SES) and the Direct Marketing Association (DMA). She is also the Link Building Moderator on the SEOBook Community Forums, Small Business Ideas Forum and Sphinn. Leo is an internet marketer and has been marketing online for over a decade. He currently uses search and social iterations to generate a viable plan for small to mid size businesses to build and grow their business online. You can find him on his off days posting at his vanity label, leodimilo.com. “Personally, I think that the Google + button in and of itself won’t effect global search but is just one of several components that will be used to determine relevance on a personalized level. The recent authorship tags combined with personal surfing behaviour and the person’s social network cluster will all have an influence on who ranks where and why. Rob is a freelance writer. 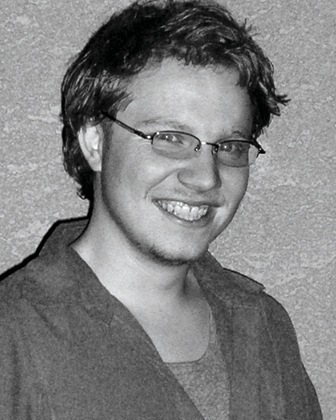 He has been working in the field sine 2002, and has worked full-time with search engine optimized web content since 2008. He has written literally thousands of articles, hundreds of web pages, various manuals & company documents, and much more. Jim is a commercial copy writer and marketing consultant specializing in social media and content marketing. During the past 15 years, I have worked as director of public relations for one of the largest residential real estate brokerages in the mid-Atlantic and served as editor of a neighbourhood weekly newspaper. I’ve written technical manuals, marketing letters, sales presentations, audio scripts, training programs, educational curriculum and newspaper articles to name a few. Bottom line–if you’ve got a copy-driven or communications project, if I haven’t done it, I’ve probably done something like it. “With +1, Google has managed to incorporate social relevancy directly into it’s search engine results without the need for a third-party provider such as Twitter. Google will also be able to build the data from +1 into its algorithm to provide real-time search results that factor in the conversation of the moment. Unlike Twitter, which is very temporary and of the moment, +1 data has the potential to have a lasting impact on a web page or blog post. In the same way that Google uses incoming links to build authority, it is highly likely that Google will use +1 in the same way. I would like to say big thank to all of the above experts for taking time and sharing their views. What do you think about the above view points, will these help you plan your social media marketing strategy better? Please let me know in the comments below if this was helpful so I can get you more information. Google +1 Button now shares directly to Google + great features. How Google 1+ buttons is useful for Business Pages? Business pages are not here yet, I assume +1 will be one of the important ranking factor in business pages. All like minded SEO experts have quoted their thoughts about Google + . There are supportive as well as contradictory statements as to Google + will contribute towards organic search results. There is a perception ,as being a google’s product, it might assist in better search engine rankings on google itself. Though it can be used as source of spamming for many of the spammers out there but once google will start tackling these spammers effectively to avoid any kind of exploitation, i think it will help in the search engine results somehow in the nearest future, and google will surely find a way out for those spammers . My conclusion at last is its no harm at all to take the advantage of this wonderful google product , as it will not affect either. Thanks for checking out my blog and taking time to comment. I agree with you that you will find spammers every where. It will be easy for Google to figure out those elements within +1 system compare to facebook likes and tweet spams. I saw how it is working for me, I was lucky to launch a website and immediately implement G+ button less than few hours after announcement. I can’t say that rankings of the project are high, but after 2 weeks, it gained PR4. Given the extra pay load that google+ offers for a given site, don’t you think the page load time is also a factor to be considered? Both Google+ and page load time doesn’t go hand in hand is what i feel. I would like say big thank to all of the above experts for taking time and sharing their views with me. Google +1 is in many ways Google’s answer to Facebook’s “Like” feature. This handy little tool can influence your website’s position with Google’s search results and help you rise in the ranks. I agree with these experts. Based on my observation, not only on Google + but on other social websites such as facebook and twitter shows that social influence can definitely boost your serp rankings since these is an indication for the search engines that your posts are very useful to many readers. I have heard about G+ button helping in seo but i didnt know it can actually give a boost to website traffic. Thanks for addressing this topic. Well, I added Google plus button on my blog posts but I do not think it has direct impact on organic SEO. However, when I share it do affect the personalized Google Search Results. Brilliant article, much appreciated. I’ve been scouring the internet looking for expert comments on this and here they all are in one place 🙂 I’m adding the button to sites but waiting to see the impact on seo. Thanks again, articles like this really do make my life so much easier. I agree with Aaron’s thoughts. I don’t think Google +1 has taken off nearly as well as Google would have hoped. I would not be surprised at all, however, if we saw an algorithm shift or two to encourage its increased use. That really would be the only thing that could encourage people to use the function as far as I can see. Solid post. I am of the opinion that the +1 data combined with authorRank are the future of googles serp. I was having trouble getting ranked but I was getting decent traffic. Once I added my google+ and twitter share buttons and encouraged people to use them, I noticed a definite improvement in my SERP’s and traffic. I just wanted to add that social signals are becoming increasingly important for Google rankings. Also, Social bookmarking can make a big difference and help your new posts get indexed quickly.